I wanted to host a Halloween dinner party and decided it had to be an elegant occasion. Black and white and silver were how I chose to style the party! An oversized runner of black and white chevron set the stage for white chargers, black plates and white soup bowls topped with black linen napkins. I began to build the rest of this Halloween tablescape around these colors. 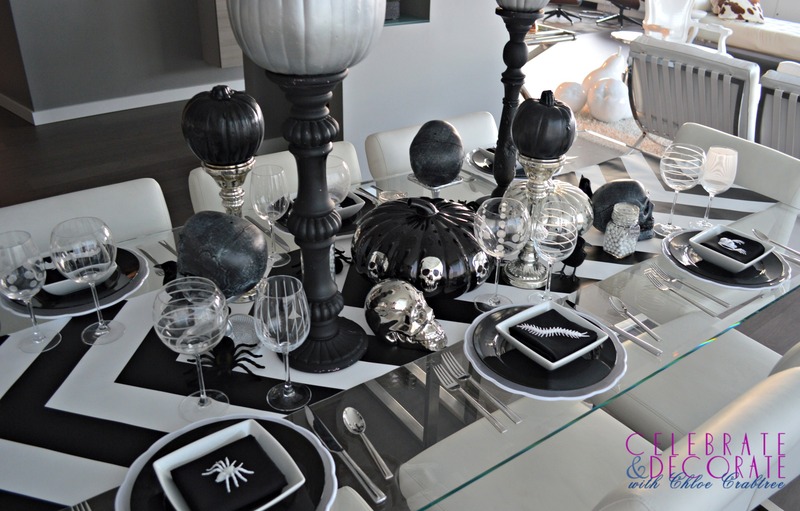 A beautiful black and silver glass pumpkin had a place of honor in the middle of my table. Our condominium is modern and streamlined with very little color. The walls are gray, the floors are gray and most everything else is black and white and silver. This was the perfect table setting to coordinate with my decor. I had these tall candle holders that I had painted bright colors for an Alice in Wonderland Party. You would never recognize them now that they are painted black with some light distressing in gray. 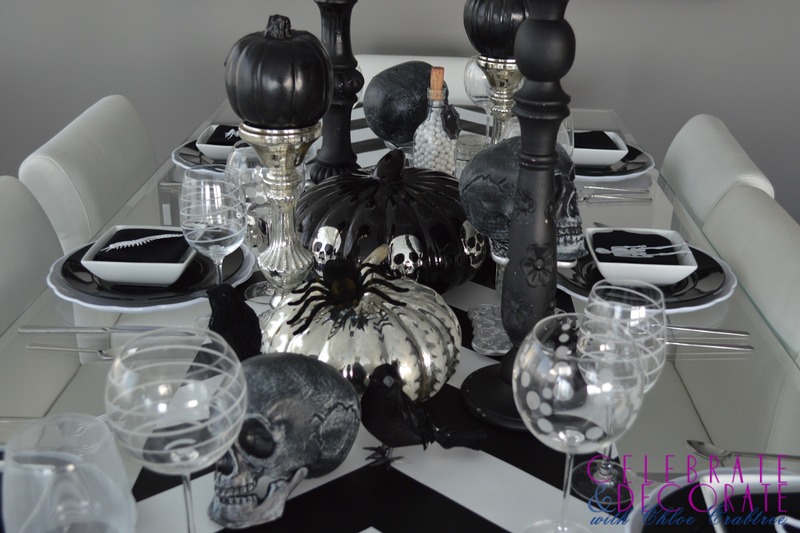 I painted craft pumpkins silver and put them on top of the black candle holders. Silver mercury glass candle holders from my Christmas decorations became the columns to support the similarly painted black pumpkins. I found the great glass pumpkins at Home Goods. One was black with silver skulls which really set my decorating plan in motion. 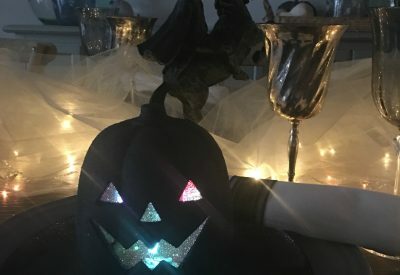 The mercury glass pumpkin was the perfect complement to the mercury glass candle holders. I used inexpensive white plastic platters from Party City for my chargers. I had hoped to glue a black creepy prop to each one, but when I put my black plates ($1.99 each on clearance at Bed, Bath and Beyond) on them, there was no room. The black plates were so large that only a tiny bit of the chargers peeked out below them. 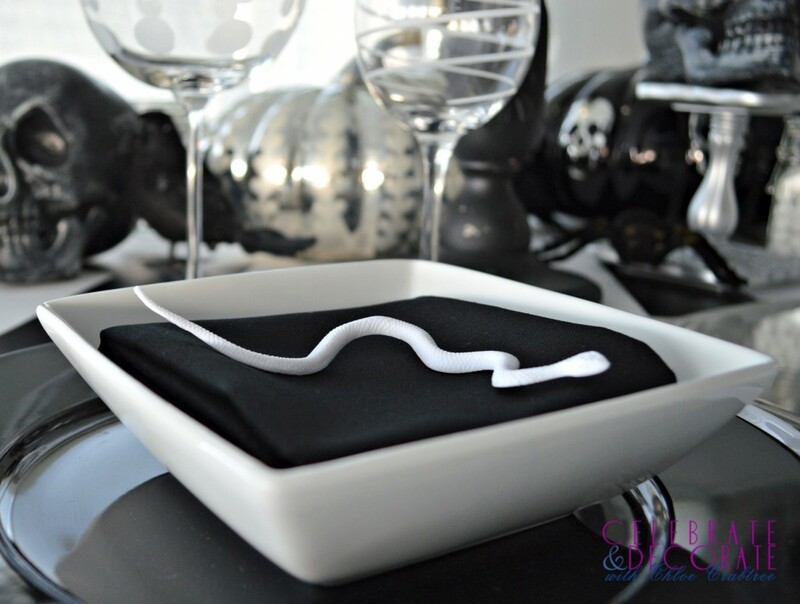 After a little pondering I decided to fold my black napkins in the white soup bowls and paint my little props white so they would stand out. The skull here is resting on a jewelry holder which I snagged at a discount at Home Goods because it was all scratched up. I planned on painting it silver or black anyway, so I wasn’t concerned with the condition. I can see these as little pedestals for cupcakes in the future! 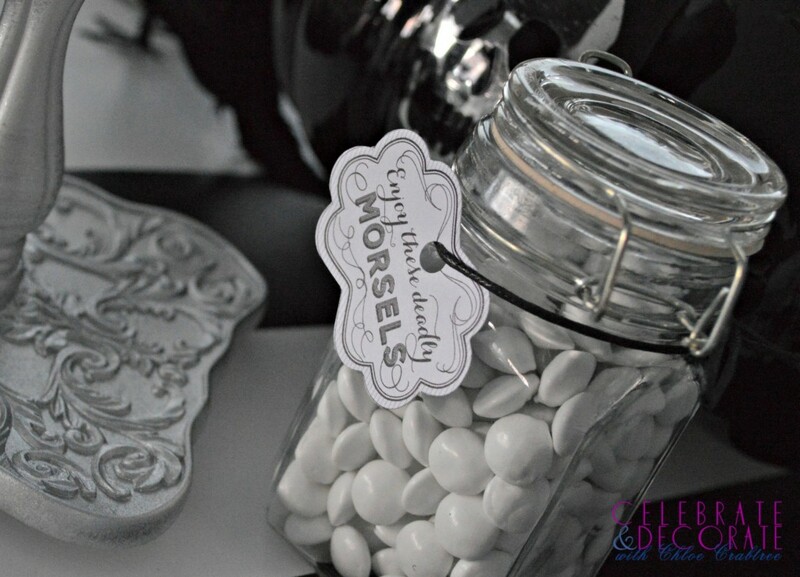 I had little jars of mini white candies for each couple to take home, each one trimmed with cute little Halloween tag. These added to my decor and made a nice little favor. 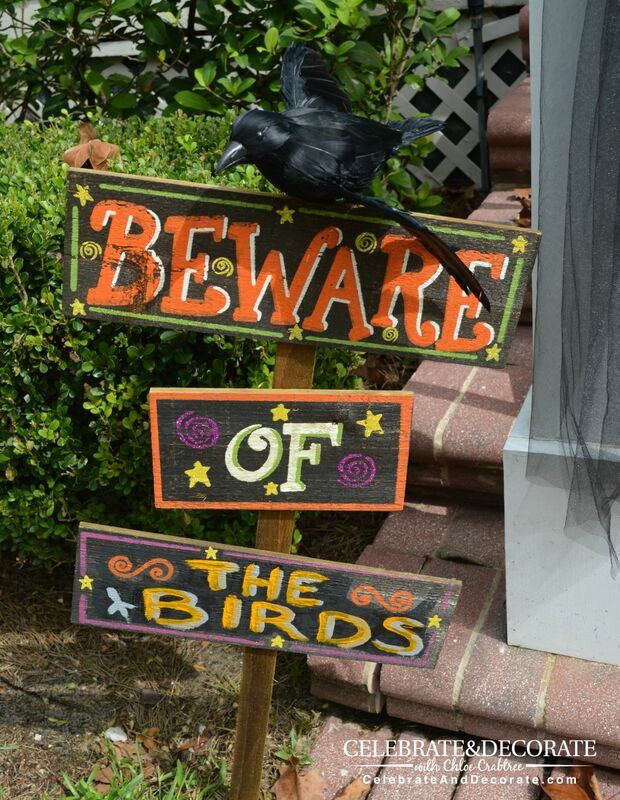 My guests all agreed they were saving their’s until closer to Halloween. Every place setting got a different creepy little guy on their napkin. These included a skeleton, a snake, a spider, bat, centipede and skull. Some folks were a little creeped out by these! I loved this black and white chevron runner. It is actually a giant roll of sticker that you can use to decorate a wall. This would be great in an apartment, as it is re-usable. I just cut it to fit on my table and didn’t need to remove the backing to stick it down. It laid out very nicely. I think perhaps I should have painted the cork in the tall bottle of treats black or white, since when I looked at my photographs, it was the only color that stuck out. If not for that, perhaps the pictures would have looked like I photoshopped them into black and white! 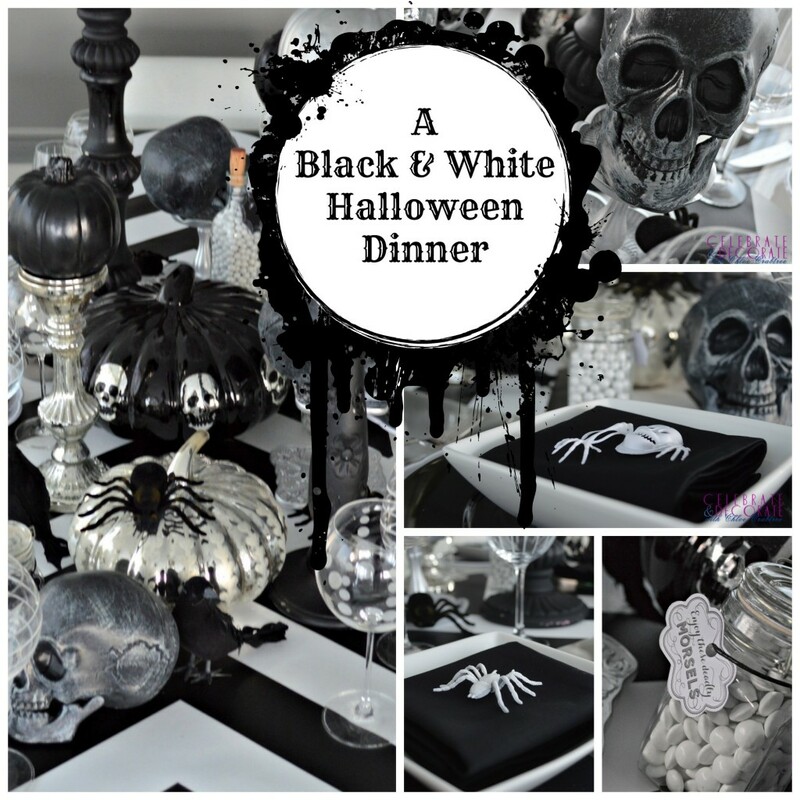 I hope you like my elegant Halloween dinner party! I will share the menu in coming weeks. 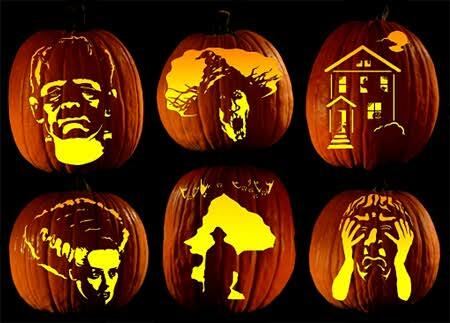 I know it is a couple of months until Halloween, but for me, once we get under the 90 day mark, I have to get going! I have been saving this one from last year and I just couldn’t wait any longer! Chloe, I first fell in love with this tablesetting a couple of months ago and then I couldn’t find it even though I bought the wallpaper. So glad you posted it again. I can’t replicate everything but I will try. Love the creepy crawlies in the soup bowls. Am enjoying your blog very much. Thank you Gayle. I was sharing in on a link party last week and realized it would not load properly. I had to repost the entire thing under a new link. Both my techie assistant and I could not figure out what went wrong, so I will start all over again with promoting it. 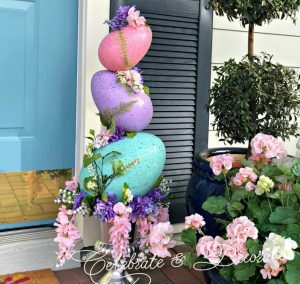 It was so much fun to create! Thank you for you kind words about Celebrate and Decorate! Love the critters at each setting! The chevron runner is gorgeous and I’ve used something similar. It is economical and a time saver. Your guests must have had a great time, looking forward to the menu. 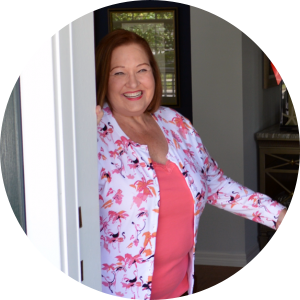 Carolyn, thanks so much for featuring me! What a gorgeous setting! 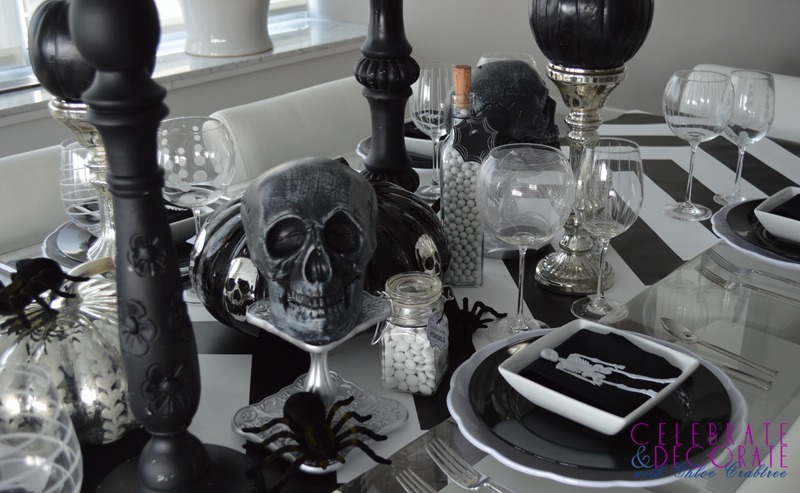 I’m a sucker for a pretty dinner party and your ‘spooky’ has so much class! 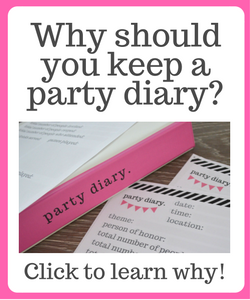 Thanks for linking up at Share it Sunday. Featured this week on our FB page. 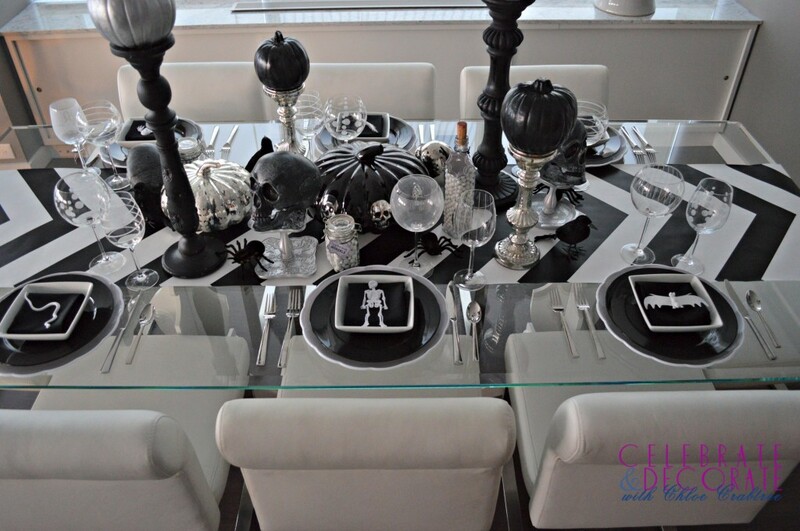 Chloe, your tablescape is so elegant with the black and white. Super classy and fun. Love your creativity. 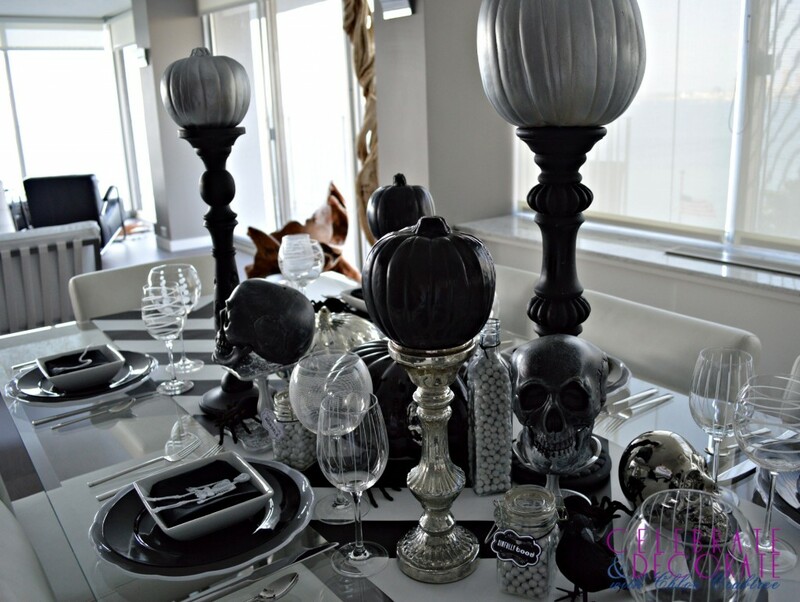 Thanks for sharing your table at the Halloween Tablescape Link Party. Wow Chloe this is wonderful! Love the color theme and all the details. 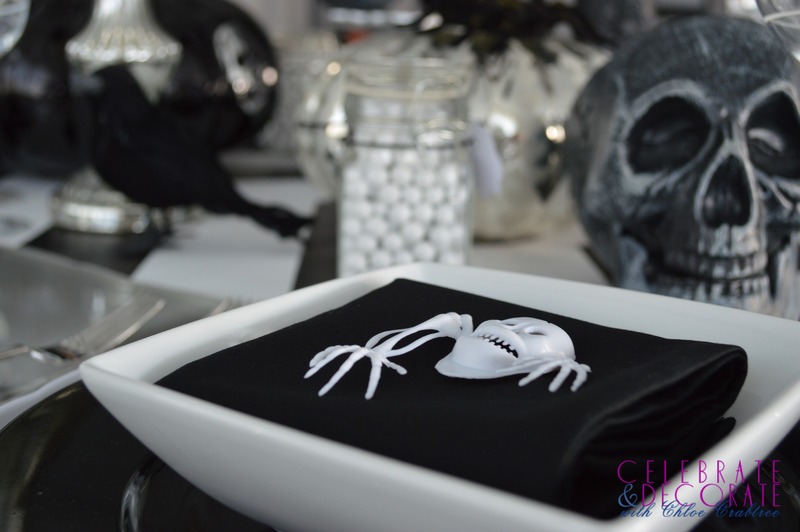 The white creepy objects on each napkin are a great idea! This is definitely classy and fun for adults! Thank you Liz, a fun dinner for sure! 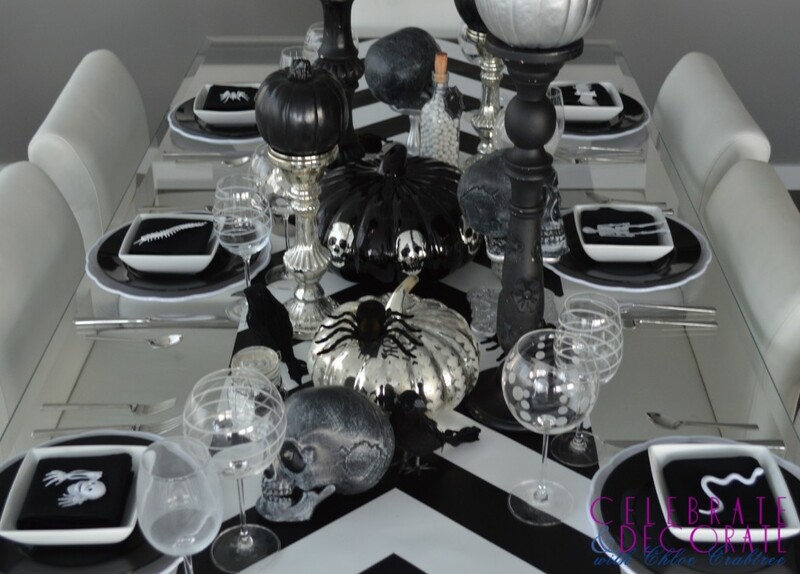 I love your spooktacular table Chloe! 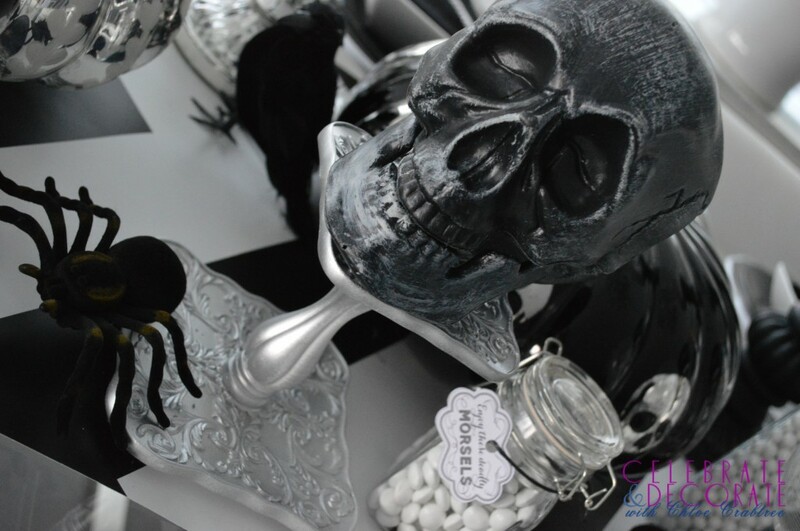 All your silver, black and white details are hauntingly elegant! Thank you Mary, it is a fun table for a grown up dinner party! Love your table Chloe, those snakes are stealing the show for me. You outdid yourself! Great job. 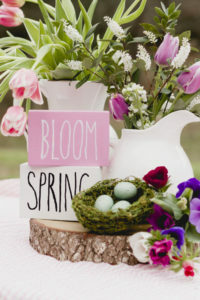 Thanks Christine, it is so much fun to paint up little dollar store items and incorporated them into tablescapes. This is utterly fabulous Chloe! I love those creepy crawlies at each place! The black white and silver is so dramatic! Thank you Jenna! I am not really a fan of orange and this seemed so much more “adult” but still fun.